With more than 25 years of experience and extensive knowledge about the product Schwarz Logistik provides full-service logistic solutions for imports, exports and domestic transports. Different growing areas, different qualities. 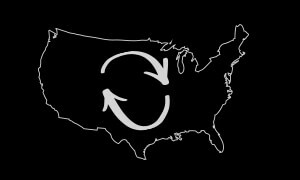 We assist specialized dealers and craft-breweries of any size in shipping hops from all over the world to the US. Our knowledge and experience helps you find the best transport solution and set up realistic time and cost schedules. With the success of modern craft brewing the demand for American aroma hops increases constantly. We help you get your product safely to new markets all over the world. Our network of local specialized partners ensures reliable delivery to the place of final destination. As well as international transports we carry out shipping within NAFTA. 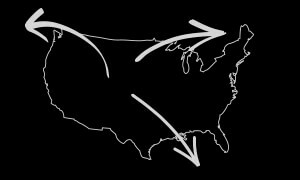 Getting hops from a producer to your brewery or delivering your product to your customers in the USA, Canada or Mexico. Rely on our expertise and our extensive network of local partners. Worldwide shipping and transportation of hops requires know-how of international customs and import regulations as well as comprehensive knowledge about the product itself, its specialties and characteristics to guarantee unchanged quality from producer to brewery. Based in the heart of hops and brewing, near the world's largest hops cultivation and farming area Hallertau in Bavaria / Germany, Schwarz Logistik today is one of the leading providers for hops logistics. With more than 25 years of experience we work for almost every major hops producer and dealer worldwide, as well as for many smaller businesses like farms or craft-breweries. Rely on our knowledge, our longtime experience and our extensive network of local partners. You are a small craft-brewery and want to buy special types of hops from all over the world? 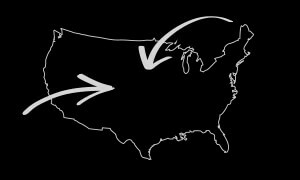 You are a national distributor who wants to deliver hops directly from producer to processors? Contact us and find out, how Schwarz Logistik can actively support you as a reliable partner with your logistic demands.